Why undertake a Master of Arts? The Master of Arts course is designed for those who hold a tertiary qualification in a theological discipline who wish to pursue a further qualification in theology as part of their continuing education for ministry. The award provides a study of theological and related disciplines through a structure of specialisations and sub-specialisations. Meet the English Language requirements for entry to the course. If your previous studies were undertaken in another language you’ll need to complete an IELTS test and have a result of 7.0 with no score less than 7.0 in all bands of the test. If you entered with and AQF level 8 award in the discipline of Theology or Ministry you will study for 1 year full time or up to 3 years part time. The maximum time allowed is 3 years. If you entered with an AQF level 7 award in the discipline of Theology or Ministry you will study for 1.5 years full time or up to 4.5 years part time. The maximum time allowed is 4.5 years. Full time is usually three or four units per semester, part time is one or two. At least 1 Generic Research unit/ Research Project/ Capstone unit. 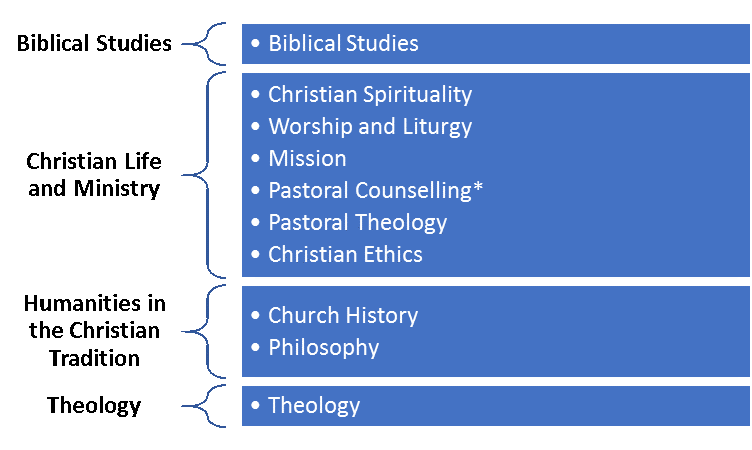 It is not essential to complete any particular combination of these disciplines unless you are required to do so for professional reasons (for example, if you are undertaking the Master of Arts for accreditation to teach in Catholic Schools, the Catholic Education office in your diocese may insist that you complete certain units as part of your studies). This is not decided by the SCD, and you should refer to your employer for advice in this matter. You could be eligible for credit, but this is capped at four units depending on the study you’ve completed. Have a chat to the registrar at your chosen Teaching Body about applying for this. I want to complete more study after my Master of Arts, what should I do? This depends on where you want to go in your career, and what your grades have been like throughout your studies. After completion of the Master of Arts it is possible to enter a Master of Theology and from there a Doctoral program.